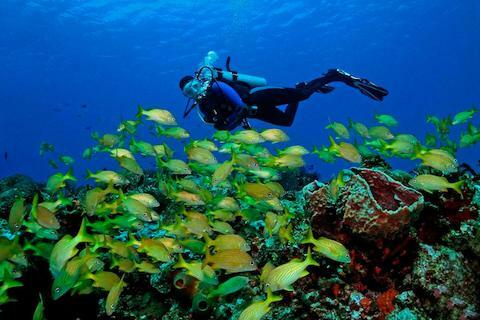 Isla Mujeres National Marine Park offers shallow reefs with exciting dive sites. 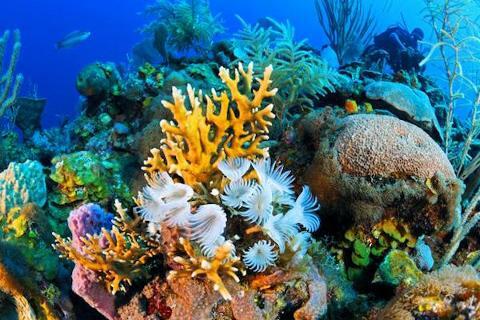 Manchones Reef is prized for its abundant sealitfe which holds a large number of species including turtles, angel fish, lobsters, sting rays between others. 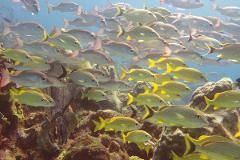 The dive sites are close by, just a few minutes from the coast of Isla Mujeres. As you drive along with our boats you have the opportunity to enjoy the turquoise water and incredible views of the island of Isla Mujeres. 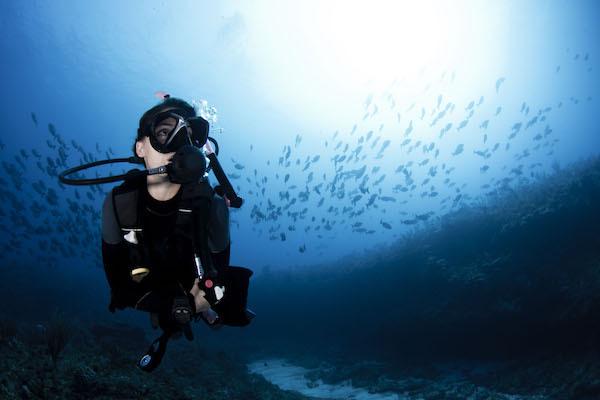 Manchones Reef also holds the world-renowned Underwater Museum 'MUSA', a collection of more than 500 human sized sculptures that were created with the intention to protect the reef and encourage coral growth. This museum is also called 'The Silent Evolution' due to its eventual transformation into a complete reef ecosystem in the near future. Today, the museum provides protection for many species of juveniles and represents a symbol of environment conscience.